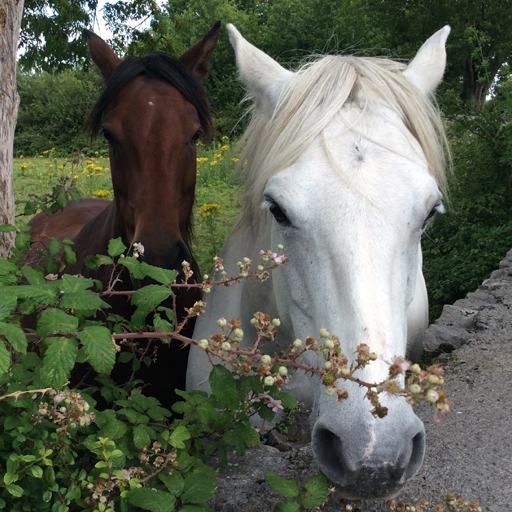 The Burren is a very unique landscape and there is much to discover for families of all ages. Spin past unusual rock formations in this lunar-like landscape, stop at fabulous beaches, and enjoy activities on and off the bicycles on this cycling holiday whereby all family members are taken care of. 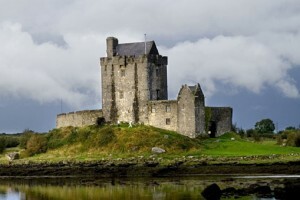 Arrive in Oranmore (there are regular buses from Shannon and Dublin Airports, there are also trains from Dublin to Galway, there are regular buses from Galway to Oranmore 20min away). Stay the night in guesthouse/B&B. We will meet you in the evening or first thing the following morning (depending on arrival time) to adjust the bicycles for you and talk you through the days ahead. Cycle along the backroads to the village of Clarinbridge and Kilcolgan, from where you turn to ride past the ruined Kilcolgan castle. 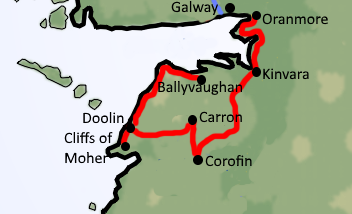 The route then keeps for a little while along the coast before turning inland to head to Ballindereen and then to Kinvarra. 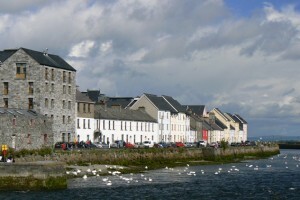 This colourful village is picturesquely situated on Galway Bay. 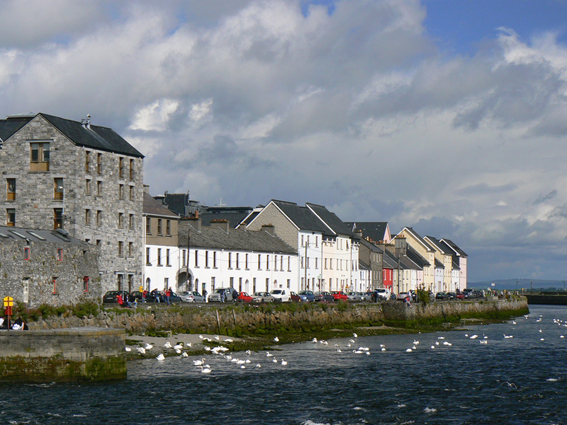 Quite often the traditional wooden sailing ships (called Galway Hookers) are moored in its harbour. Stay the night in B&B. The Burren is rich in pre-historic remains and a short distance away you will find Cahercommaun stone fort. The 7th -10th century fort built at the edge of the steep cliff, consists of three concentric massive stone walls, the outermost 130 meters in diameter. 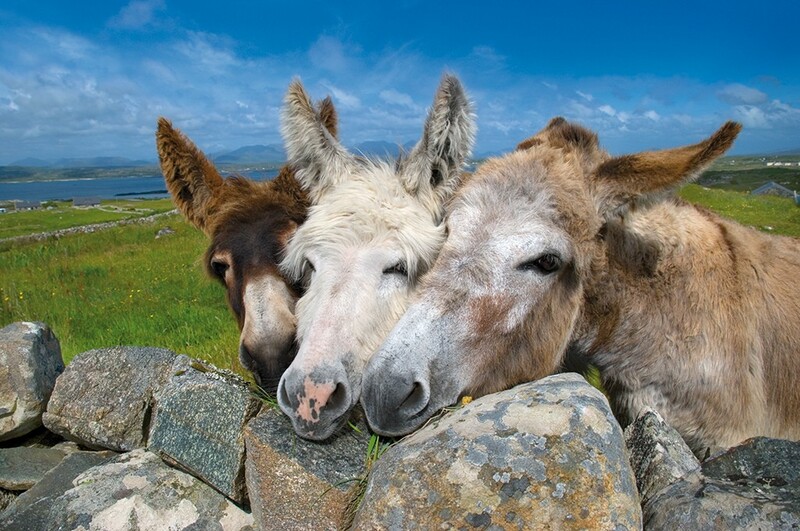 You come through the village of Lisdoonvarna before arriving in the seaside village of Doolin, where you stay for 2 nights. 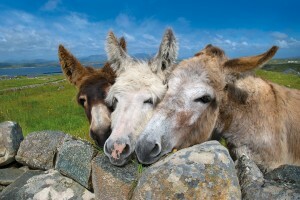 Doolin is famous for the traditional music that is played nightly in its pubs. 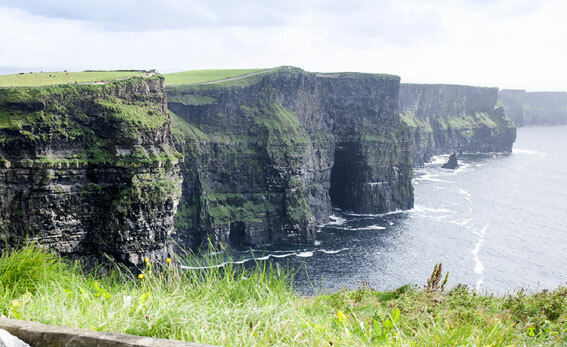 Enjoy a day out of the saddle perhaps go horseback riding, enjoy an activity in the Doolin Centre, visit the Doolin Cave, or take a boat ride to the Cliffs of Moher. 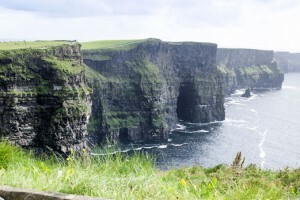 A day with many possibilities: take a boat trip to the Aran Islands for the day; take the boat tour to the Cliffs of Moher; or alternatively cycle to the Cliffs (due to the attractions being one of the most popular sites in Ireland you will encounter stretches of road that are busy with traffic). Standing 214m (702 feet) at their highest point they stretch for 8 kilometres (5 miles) along the Atlantic coast of County Clare in the West of Ireland. Breakfast, followed by farewell and departure for your onward journey. 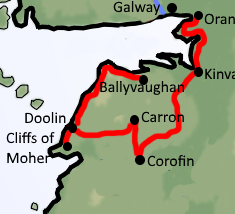 There are direct buses back to Galway from where there are trains to Dublin. Easy with children over the age of 8yrs in mind. Detailled daily route notes, maps, and route notes, gpx files, personal meet and greet, and emergency support. 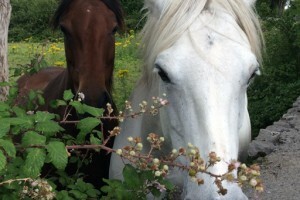 This self-guided family cycling holiday in Ireland tour is designed for you to stay in comfortable, family friendly, wonderful guesthouses and small hotels such as underneath. Accommodations could be upgraded if you prefer. 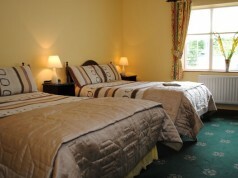 a beautiful family home, an Irish B&B with several double and family-sized bedrooms. All rooms are en-suite with TV, and wireless Internet access is available to keep you in touch with the world outside of Doolin! 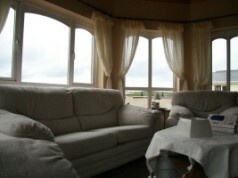 The bright and airy conservatory and cosy guest sitting room are yours during your stay. Help yourself to tea and coffee there at will. very centrally located, this family-run comfortable house offers guest bedrooms of varying sizes. All rooms have TV, free WIFI, hairdryers and are en-suite.